A truly unique and playful design. 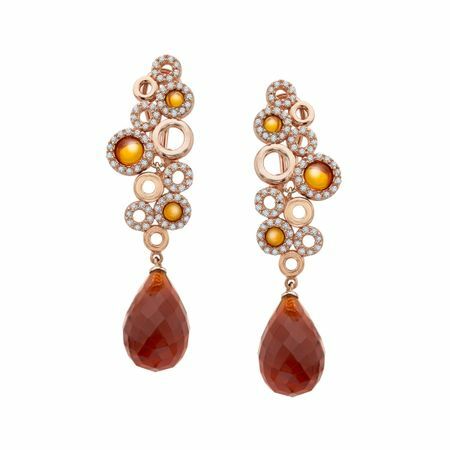 Brilliant facets of both Swarovski zirconia and amber-hued resin are highlighted by a frame of 18K pink gold over sterling silver that adds a touch of warmth and color. Pieces measure 2 1/4 by 9/16 inches.